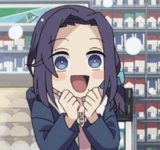 Crunchyroll - Is "Today's Menu for the Emiya Family" the Best "Fate" Anime Yet?! 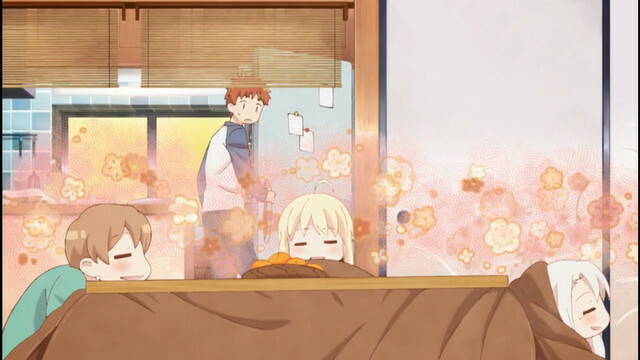 Is "Today's Menu for the Emiya Family" the Best "Fate" Anime Yet?! 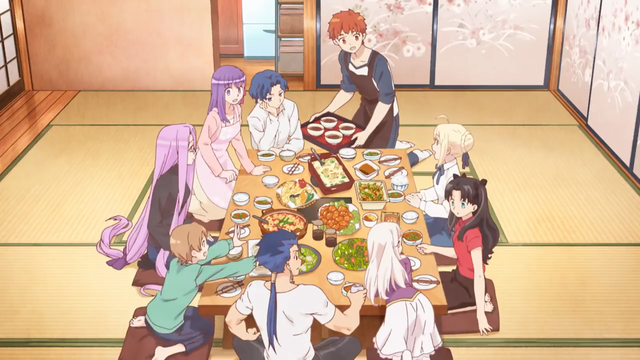 Have you ever wished there was another Fate/stay night route where everyone just got along with each other and enjoyed really pretty food together? Maybe not, but you probably do now. And, well, it sort of exists. 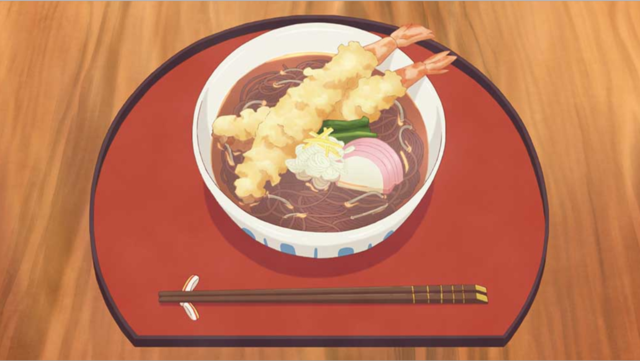 Today's Menu for the Emiya Family is based on the TYPE-MOON manga of the same name, written and illustrated by TAa. It stars lots of familiar faces from the world of Fate, but you won't see any Grail Wars or Servant battles here. 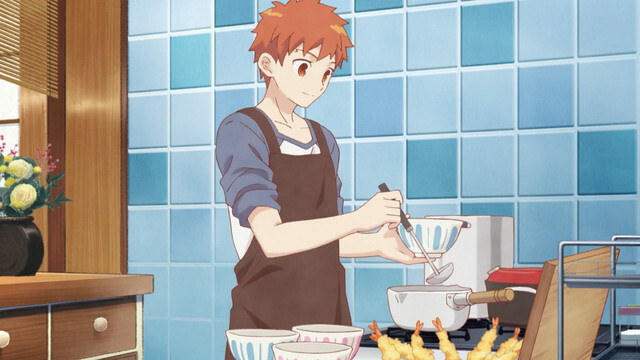 Instead, each ten-minute episode consists of Shirou Emiya cooking up a new dinner for himself, Saber, Taiga, and whoever else happens to crash the party. And honestly, this may well be our favorite Fate series yet. We know that's a pretty high claim... but let us lay it out for you. 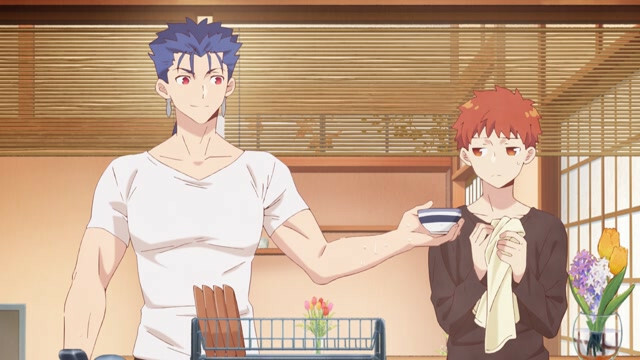 Every iteration of the Nasuverse seems to be prettier than the last, so it's probably not surprising to say that Today's Menu for the Emiya Family is just wonderful to look at. The line art and coloring have a subtle feel to them that's almost reminiscent of a children's book, matching TAa's manga style. Even Lancer, muscles out and selling fish, looks like something out of a fairy tale. And that's not even mentioning the food art. This is one of those shows you cannot watch while you're hungry. Every dish is absolutely beautiful, from the baked salmon to the Girls' Day chirashizushi that looks like it could be a birthday cake. While the recipes may not include specific measurements, you do get about a Facebook cooking video level of instruction. So you definitely have enough info to up your sushi rice game or figure out how to season baked fish. 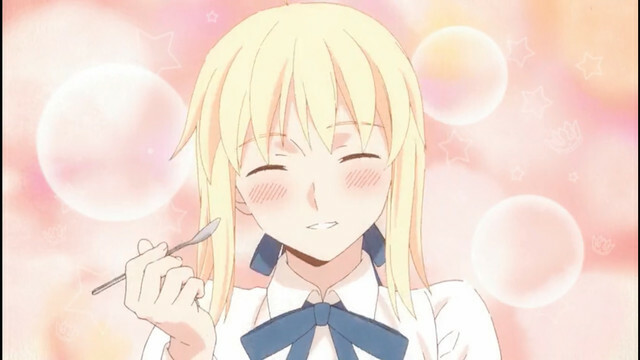 And if you're a good enough cook to eyeball measurements based on visuals, you may well be able to try out some of Emiya's dinners on your own or with friends! "Apron Boy" is definitely a bit different from your typical Fate opening, but the tune by DJ Misoshiru and MC Gohan (get it?) fits the feel of the show perfectly. Plus, it's absolutely adorable, and you'll be hard pressed to not dance to it at least a little. One of the most fun things about Fate/Grand Order is the occasional peek we get into the lives of summoned Servants when they're not beating each other up. Which isn't to say that other iterations never cover down time, of course. But the gentle, fun feel of this series actually lends a lot to the Fate world even without contributing significantly to the overall plot. 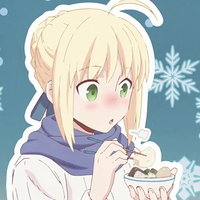 We see everyone at ease (even Saber -- kind of), willing to put aside what goes on past the dinner table in order to enjoy some good food. That also means there's plenty of Emiya and Saber cuteness, which we can always use more of. Each episode clocks in at about 10 minutes, making it a simple show to add to your queue. There's not much by way of plot, but that's sort of nice in a way. We all know the story of the Holy Grail War already, and this is a little intermission between the action. If you don't know the Fate series all that well, you can still enjoy the look of the food and get to know the characters a bit. A Celtic hero working at a fish shop and a young woman being called the "King of Knights" might throw you, sure, but it's still a sweet series. It might even get your foot in the door if you've been hesitant about exploring the Fate world. So, is Today's Menu for the Emiya Family really the best Fate series so far? It may not be the most action-packed or the most dramatic -- but it is definitely the cutest, and absolutely the most delicious. Watch Today's Menu with the Emiya Family on Crunchyroll.